Jim lived up to his reviews on Wedding Wire. Our wedding venue had given us a list of approved photographers which Jim was not yet on. After researching those photographers and then coming across his name on Wedding Wire we knew we he was the one for us and we immediately got him approved. There is just a little extra touch of magic to his photography. We could not be more happy with how our photographs turned out as well as with the way he interacted with guests. Thank you Jim! Choosing Jim Vetter to photograph our wedding was a wonderful decision! He was attentive, organized, artistic, fun and professional. I absolutely recommend him! When looking for a photographer we wanted to make sure we found someone who wouldn't have their long hair getting in their eyes while trying to shoot, JIM! JOKING - all kidding aside, one of my girlfriends had recently posted some amazing wedding pictures on FB, and in the search for a photographer, we uncovered Jim Vetter Photography through her. My fiancé wasn't totally into the engagement shoot, but it came with Jim's package so we went for it. OMG - we had so much fun during the shoot, and working with Jim was no hassle and everything just seemed to flow and be so smooth. Jim was super professional and effortlessly threw up lighting props and had all these cameras but it was just so second nature... We did our engagement shoot on a Thursday and had an engagement party on a Saturday, and somehow Jim managed to have about 15 photo's ready for us within TWO DAYS so we could show them at our party. The quality of his work is superb and I am very happy with the outcome of the photos, Jim certainly has a niche for capturing that one moment in the perfect lighting so everything just looks amazing. We would definitely recommend Jim to anyone looking for photographer, or just a fun cool guy to hang out with that happens to shoot photo's, because thats what it felt like when we were with him! Wow! We did have fun, didn't we? I can't wait for the wedding day! You guys are so awesome to work with and to hang with. I am incredibly grateful to you for the warm review. THANK YOU! Jim was great to work not only during the wedding but before during our planning stage and after. He was very responsive to all calls and emails. This was extraordinarily helpful as creating a feeling of trust and reliability is so necessary leading up to a wedding. We had no idea what we were doing or how to do it and he gave amazing advice throughout the whole planning and during the event. We were unsure where to do some of our portraits and he took time out to scope out new and special locations that were near our wedding venue so that we would be able to get the dramatic views and still spend as little time possible doing a photo shoot so we would get the maximum time with our families. This was completely not required and none of the other photographers we spoke to even had suggested thinking about our location or our needs in such a manner. We definitely felt that we were a priority and valued. Amazing! The day of the wedding, he was there early and stayed late ensuring nothing was missed. We asked him to take lead on how he wanted to shoot the photos since he has such a good eye for light and artistic couple shots as well. I think for us, the key best thing about his photography was keeping us relaxed. There is hardly a photo where we look like we are nervous or aware of the camera. He has a very easy going manner so the photos end up not looking posed or forced but friendly and spontaneous. And I mean every single one. I don't know how he did it but they are all super natural and flattering. He nailed both the necessary family pix and the more artistic couple shots we wanted. They are absolutely beautiful. Jim is also a genuinely nice and funny person to work with. What a likeable person! We love our photos more than we can say! They are perfect. It was such a joy to be part of your amazingly unique and special wedding. Thank you, thank you!! We were lucky enough to have had the pleasure of working with Jim as our wedding photographer, March 2018. We had discussed images/question before meeting and he remained in constant contact making him a great communicator and someone you could trust for your big day. Jim is well organized, has amazing ideas, made it quick and easy and was open to images we cared for. I would recommend him for any event. We were very blessed to have worked with him and encourage anyone to do the same. Thank you so much for the warm words! I loved working with you guys. You made my job easy and it was an honor to be part of your day! We absolutely love our photos! We happened upon Jim via a coworker recommendation, and now we see why he was recommended. Our wedding went by so fast, like a blur! But with Jim's keen eye, he was able to capture all our emotions and now we can look back and relive our wedding bliss. Jim is a superb professional- he's punctual, precise, with a flair for photo artistry. We will spread the word so others can work with him to capture their important life moments! Jim was a pleasure to work with and I'd highly recommend him! 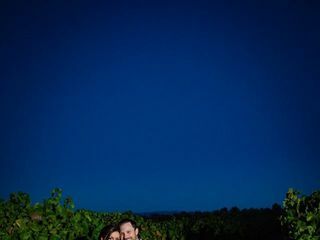 Jim photographed my wedding proposal at a winery in Napa Valley. From the start, Jim was responsive, excited and helpful in preparation for my surprise proposal. I live in New York and hadn't met Jim until the day of our shoot so his prompt online communication made a big difference. We had arranged a plan to take surprise pictures outside at a specific place at the winery. Unfortunately, the weather didn't cooperate. Rain poured the morning of the proposal putting a crux in our plan. Without flinching, Jim was able to come up with a new plan on the fly keeping his composure and recommending solutions when unforeseen circumstances arose- exactly what you want on one of the most important days of your life. With a new strategy in place, I proceeded with the proposal (she said yes!) and Jim was able to successfully capture the moment. Not only was Jim able to capture the exact moment I proposed, he also had creative ideas for pictures/ angles afterward. With emotions flying, Jim was able to channel our excitement and bring out natural and passionate poses. We felt comfortable being around Jim and taking part in his vision for the shoot. Thank you, Michael! That was such a cool proposal with you on your knee in the rain. It all really worked out well didn’t it? It was truly a pleasure to work with you guys. I’m sure your wedding will be amazing! I came into contact with Jim when I booked a surprise engagement photo shoot via paparazzi proposals. I’ll start off by saying that this is my first proposal, and hopefully my last, so therefor I don’t plan on meeting any of the other photographers that paparazzi proposals contracts, nor have I ever met any of the photographers that they contract in the past. With that being said, I have to go ahead and in good faith assume that Jim is by far the best photographer they have ever employed. It was an extremely uneasy feeling to get cell reception getting off of a flight from Miami, landing in San Francisco which is almost completely foreign to me, and being ridiculously nervous about what was about to happen between Elizabeth and I, to then see an email finding out at the last minute that Rick the guitarist wouldn’t be allowed inside of Muir Woods and I would essentially have to propose outside, or in the parking lot. Realistically the outside of Muir Woods is not exactly a nice place to propose and to be honest, after seeing it, neither is the inside. 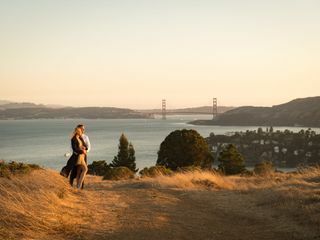 Nevertheless, thanks to Jim, who with one text from me, contacted rick the guitarist and essentially replanned and moved the entire proposal to Muir Beach, everything turned out better than I could’ve ever planned. I literally owe the entire happiness of such a special day for both Elizabeth and I completely to Jim. I’ve been a Police officer for ten years now, and in investigations when looking for a new detective we always talk about who’s willing to go above and beyond “the call of duty”, we use that as the defining trait to separate the people who love what they do from the people who are just trying to earn a paycheck. I will tell you honestly that Jim went completely above and beyond. I urge you all in running this amazing and beautiful business that you have, that you look for more Jim’s in this world. We’d all be much better off. Thank you and god bless. Thank you, Andy! It was an honor to help you and to capture your proposal. I am so moved by your gratitude and it reminds me why I love my job so much. I wish you and Elizabeth the most amazing wedding and marriage. Thank you!! Jim Vetter is one of a kind and you will be thrilled with his professionalism, down to earth and warm demeanor. He takes any setting and makes in into a masterpiece, especially with natural lighting! We spent approximately 4 hours just getting to know him and the camera for out engagement photo session and are thrilled with the results! Can't wait for our wedding day and will feel at ease with knowing we can trust him. Don't make the mistake of not choosing him, you won't regret it !!! **** POST WEDDING - boy did Jim and his assistant Beth go above and beyond for our most special day! Professional, courteous, FUN, artistic and patient. We just received some preview pictures (not even 1 week after wedding) and we are stunned by the beauty and uniqueness!! Barbara, you and Danny were so much fun in our engagement session! It is a privilege to work with people who are so in love :) Thank you for the kind review! We were lucky to have a photographer like Jim. We had our city hall photo shoot with him, and we were so impressed! Jim is very professional. He is on top of his appointments and would reach out to his clients prior to the day of their session to brief them on what they need to do to make their session successful and efficient. We loved our pics and he was easy to work with. I definitely would recommend him for your special day! Saba, thank you so much for taking the time to write a review about your experience with me for your wedding photography! You and Sia and your new sister-in-law were so much fun to work with. THANK YOU! We happened to stumble upon Jim from a friend. He took our engagement photos and we were so happy with the results that we hired him for our wedding as well. His professionalism and friendliness made us feel comfortable and gave us the assurance that our pictures would turn out great before we even saw them. He has an amazing eye for locations and lightning which made our pictures turn out amazing. He took the time to find out our preferences and what we were comfortable with and made our big day a breeze (one less thing to worry about is amazing when you have some many things going on). Not only did everything go amazing the day of our wedding, Jim was able to get us the photos back to us in a very short amount of time. We also went with the deluxe photobook which he was able to put together for us very quickly and which turned out amazing as well. We could not have been more happy with Jim and if you hire him too you will not regret it! Thank you, Eusong! What an epic engagement and wedding to be part of. We really rocked it together. I'm so glad we got to be your photographer. It truly was an honor. Thanks again! I could not recommend Jim Vetter Photography more highly. My now husband Steve and myself travelled over to San Francisco from England to get married in August. Not being from the US, we relied on the internet to find a photographer - and we really struck gold with Jim. Before we flew over we spoke to and emailed Jim several times so we could relay what we were looking for and it all turned our perfectly. We met Jim and his assistant Beth an hour before the ceremony at City Hall and the four of us hit it off immediately. Getting your photograph taken can be a scary thing, but Jim put us at ease at once - and the greatest compliment is that at times we forgot he was even there we were so relaxed! We received copies of the photos really quickly and they are totally stunning. Even better than we could have dreamed of. We also bought a book from Jim of our favourite pics and it's out of this world. It's a really beautiful coffee table type thing - and is totally and utterly stunning. So, to sum up, if you're looking for a great photographer with brilliant people skills - look no further than Jim Vetter Photography. Darren, thank you so very much! Spending the day with you and Steve was such a pleasure and an honor. Experiences like the one we had with you guys is why we love what we do so much! Thank you!! Jim was amazing, we felt totally comfortable with him and he gave us great advice for the timing of our day. The pictures and album came out perfectly. Would change nothing! Thank you, Monique! Your wedding was so special for me. The Seqioia Retreat Center is one of my favorite places to photograph in all of California. Thank you so much for giving me the honor of capturing your amazing day! I called so many wedding photographers 2 months before my wedding and no one can help me meet my budget. Jim was the last one I called a week before my big day. I told Jim how much my budget and the size of my wedding ceremony. He quoted me a prize and told him honestly how much I can afford. He called me back and told me he will meet my budget since he wanted to be part of my special day and wanted to help me. I was so happy! The day of my wedding Jim was there first at the city hall in San Rafael. He was very professional and so patient with my 5 year old daughter when taking photos from the begging till the end. I did not wait long to get the photos back. I love all the wedding photos. I’m so happy of the result. Thank you very much Jim Vetter for making my day extra special. I have beautiful photos to look at for years to come. Jim is an amazing photographer. His interaction with not only is but our guests to get the most candid shots is more than we could’ve asked for. Thank you, Robin! Your wedding was one of the most fun things I did last year. What an amazing gathering and celebration. It was an honor to be part of your wedding weekend! Jim captured our wedding at San Francisco City Hall beautifully. He worked tirelessly as was a pleasure to have as a part of our special day. We highly recommend him! 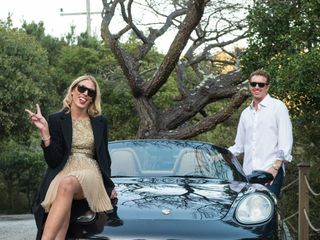 My husband and I planned an out-of-town wedding in San Francisco without our local network of referrals. We found Jim's portfolio (which speaks for itself) through a recommendation from our BnB owner. We chose Jim was because he was extremely responsive, easy to discuss our plans/pricing and was very responsive (he also uses online payment tools which felt a bit more secure too). He def helped make things work for us with his package offerings since we were not doing a traditional wedding format. The most worrisome part of wedding planning out-of-town is working with a photographer you have never met, Jim single-handedly removed that stress upon our first in-person meeting that day! His personality is warm, friendly, not aggressive, and he clearly communicates what he needs from you in order to get those desired shots (he immediately pointed out the time of our outdoor wedding and the lack of daylight available - which was a huge oversight on our part but that we were able to adjust thanks to his advice! He also came prepared for low-lighting). When I think of JIm, I think "this guy hustles!" (meaning his work ethic). Jim bends over backwards to get every possible shot, especially the candid, natural ones! He also had to corral 50 drunk people in a matter of 10 minutes to get group shots we wanted before daylight was lost–he really does not overlook what is important to the couple at all and does everything in his power to make it happen! It's truly hard to hire any vendors these days who hustle like Jim will! My guests absolutely loved working with and hanging out with Jim too-so many people came up and complimented me on choosing him! The quality of work he produces is just as amazing as his work ethic-several of my family members cried at the beauty of some pics. Our wedding was a simple, less-formal, eccentric affair and his photography style captured that beautifully! Not overdone just simple, beautiful artistic talent and photos we feel like ourselves in! Jim was an excellent photographer. He was very responsive, and made us feel very at ease. I get so nervous around cameras, but he talked me through every process. Our engagement photos were beautiful, so we knew we were good to go for the wedding. On the day of the wedding, he and his assistant were so organized! They captured every moment and worked well with everyone. Two days later, he had lots of amazing photos to show me, and even a wonderful slideshow. I couldn't have asked for a better photographer! Jim is AWESOME! I would recommend him to anyone who needs photo services as he is professional, kind, and super talented! My husband and I would use him again and again. He is super easy to work with and very attentive to the clients needs. He is a 10 all the way around! Jim was amazing! He did both our engagement photos along with our wedding photos- we couldn't have asked for a better experience. He heard what we said we needed and wanted and made it happen. Truly captured every beautiful moment and we felt blessed to have him part of the team that brought our special day together! Jim was the best photographer we could have asked for. He did a great job of capturing candid moments in a natural way, as well as taking some striking and artful photos as well. Many of our guests commented on how nice and professional he was. We ended up with many spectacular wedding photos, thanks to Jim! It was such a delight to have Jim Vetter photograph our wedding. He actually made taking pictures fun! He is artistically talented and very professional. The quality of his final product is top notch. I am so glad I chose him to capture our special moments. We chose Jim for our wedding in 2015 and we are very happy with the results. I really enjoyed that he adjusted quickly when he realized that I wasn't comfortable with a specific setting (am very shy in front of the camera). My favorite part was that he manager to get 2 group pictures of everyone attending the wedding (100+ people). We received the photos within a couple of weeks and everyone complimented us on the pictures. We would definitely recommend him to our friends.